One thing they often reach for while playing with play dough is our play dough mats. Play dough mats are basically coloring or activity pages but you can use play dough to add to them instead of coloring. You can laminate them, put them into page protectors or just use them as is – but protecting them with plastic first extends their life. Play dough is also really easy to make at home and you probably have most of the ingredients on hand. Check out a post I did a while back on how to make your own play dough. It’s really fun to make your own because you can make it any color you want. 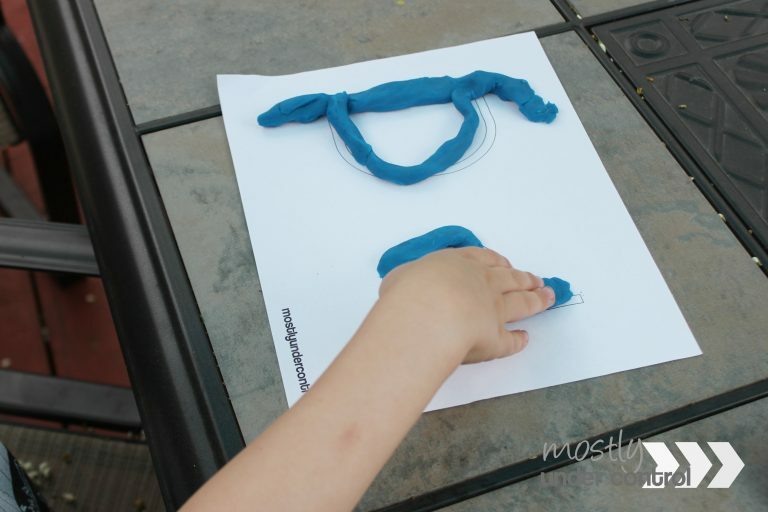 Play dough coupled with play dough mats are super versatile and you can even make your own. They are great for when you’re stuck inside because it’s too hot or too cold. The summer before I had my second, we played with play dough a lot because I was 7, 8, 9 months pregnant and it was hot – we spent so much time inside. If you frequent my blog and social media accounts, you know that I stupidly chose the summer to be pregnant again, but this time with twins. So we are busting out our play dough and play dough mats to try to avoid the heat. 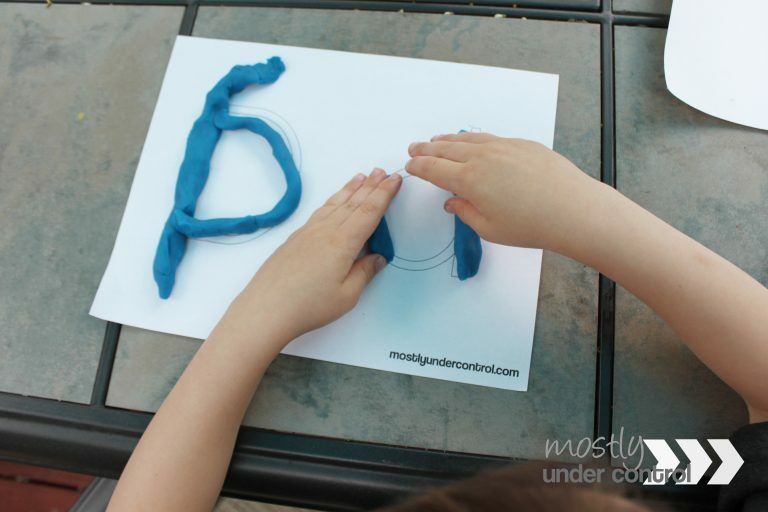 Creativity: While play dough invites tons of creativity, sometimes kids need help. Play dough mats can give them guidance in their play. Fine motor: It encourages more fine motor play because you’re guiding them in molding the dough. So their fine motor movements are more purposeful. Focused Learning: You can choose what your child is learning/working on with play dough mats. If you want them to be working on letters, you give them a set of letter play dough mats, instead of just telling them to make letters. So print your set of letters and numbers here and let me know how you do with them! All you have to do is sign up for my mailing list and you will get the mats. You may unsubscribe at any time and I do not sell your email address. I only use it to send you fun learning activities in your email. Tag me on Instagram with your activities you grab from my blog (@mostlyundercontrol).